Steve Arnold, general manager and partner of Classic Cleaners, located on Knue Road in Indianapolis. 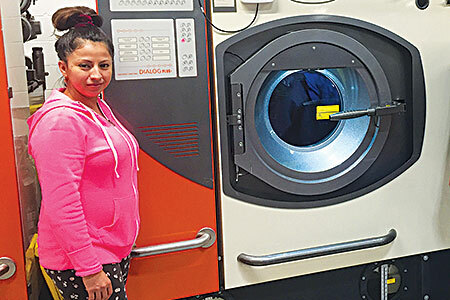 Eyvi Noguera, drycleaning manager at Classic Cleaners, poses beside a Union drycleaning machine. INDIANAPOLIS — Twenty-five-thousand square feet is plenty big. That’s the size of the new Classic Cleaners here on Knue Road. Think of it this way: It’s the floor space equal to five large, sprawling homes combined. “The lack of space to grow actually made us more efficient in the use of space,” Classic wrote in its Plant Design Awards entry application. Besides the new plant location, the operation has 18 dry stores. 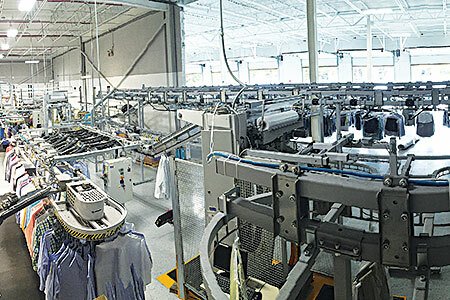 The business notes that it is a quality-focused, full-service retail dry cleaner serving the Indianapolis metropolitan market with services such as: dry cleaning, laundry, restoration, delivery service, wedding gowns, and leather, among others. Classic Cleaners traces its roots back to central Ohio where the Arnold family began the business in Zanesville. In January 1985, Carl Arnold and sons John and Steve, along with Jeff Stroman, opened their first two stores as Professional Cleaners in northeast Indianapolis. Shortly thereafter, they took on the name Classic Cleaners. Throughout the 1990s, the cleaners opened more stores and gained additional capital when Leon Neal bought into the company as a fifth partner in 1990. Day joined the company as its sixth partner in 1993, the company reports. 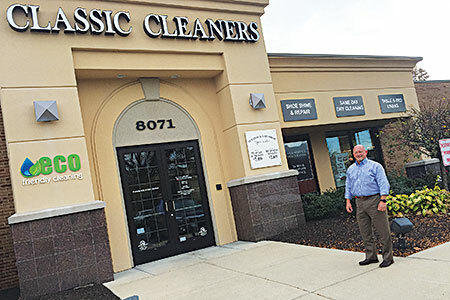 Classic Cleaners increased locations to include five Carmel locations and a Westfield location. From 2006-2009, it remodeled its main cleaning facility, expanding its size to accommodate growth. With continued growth came the need for more space, Classic continues. Finally, the operation purchased an existing structure on Knue Road in the Castleton area with the intention of expanding the plant and corporate office space. When the cleaners finally settled on the location at Knue Road, Day put together a team to help them plan the big move and install the new equipment. Day contacted Jeff Dunn of equipment distributor Machinex to assist with the layout, planning, installation and move. “We spent many days of online CAD collaboration, sharing the proposed layout on Jeff’s computer screen with Sandra Haralson, our drycleaning consultant; Jay Mills, our engineer; Metalprogetti and many other suppliers,” comments Day. “We looked at this layout, tweaking and changing it over 100 times before we settled on the one we have. “We tried to think of everything, but even when we started the install, we probably took more time analyzing the placement of every item in a workstation to maximize flow than we did on the actual installation,” Day points out. Check back on Thursday for the conclusion.